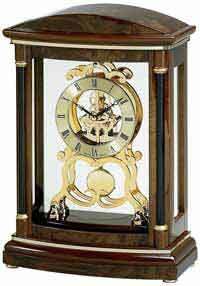 The Bulova B1845 Durant Mantel Clock is an anniversary style mantel clock in a solid wood case with an old world walnut finish. Decorative carved frontal accents. Silk-screened glass front and side panels. 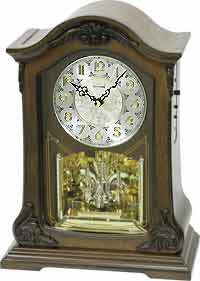 White dial with gold center and decorative filigree hands are easy to read. 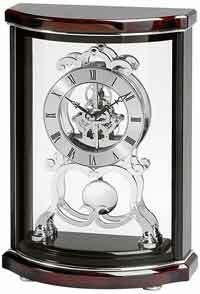 Rotating pendulum with crystals that glimmer as they rotate. Removable clear acrylic back panel. 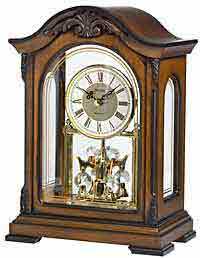 New Harmonic Triple Chime movement will play the Westminster chime, Ave Maria or Bim-Bam chimes on the hour with a full hour count. Volume control, Chime on / off selection. 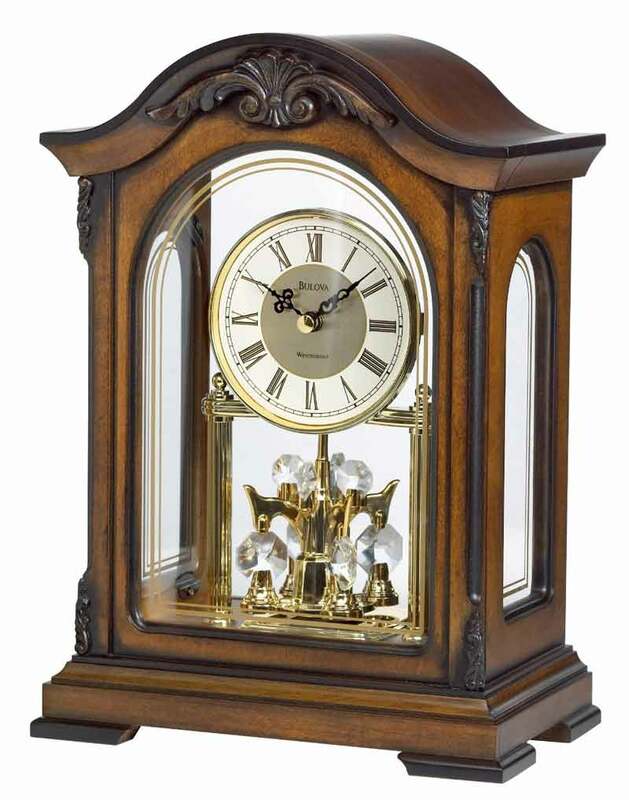 Automatic Night time shutoff selection and rotating pendulum. Requires two AA and two "C" size batteries. Clocks for sale at The Clock Depot including the B1845 at discount prices.